The Vincci La Rabida, Sevilla former palace built in the 18th century, is situated in the Arenal neighbourhood, 300 metres from the Cathedral. 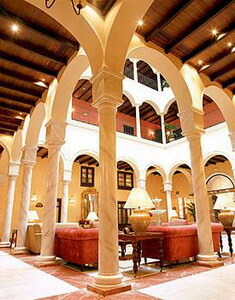 Inside, the hotel is typically grand, with a courtyard featuring marble pillars and overlooked by arched balconies. 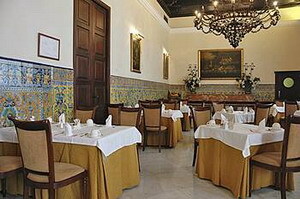 Local and French dishes are served in the hotel's Los Patios restaurant, in a setting reminiscent of old Seville. 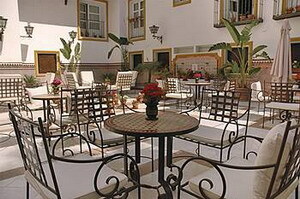 After dinner, guests at the Vincci La Rabida can enjoy a drink in the hotel's bar, while additional facilities include a sun terrace offering great views across Seville. 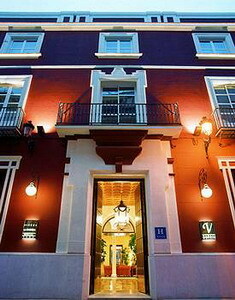 At the Vincci La Rabida in Sevilla There are parking spaces for guests with their own vehicles, wireless Internet access is available in public areas, and the concierge is on hand to advise on the city's best attractions. 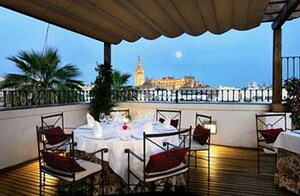 The old quarter of Sevilla consists of narrow, winding, cobbled streets and whitewashed houses. More specifically, Arenal, a former port area, has some impressive and historic buildings including the world famous Cathedral and Moorish Giralda Tower, both 300 metres from the hotel, and the Plaza de Toros, one of the most famous bullrings in the world, 500 metres away. 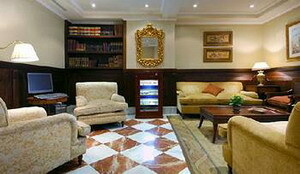 Seville San Pablo Airport is 12 kilometres from the hotel. 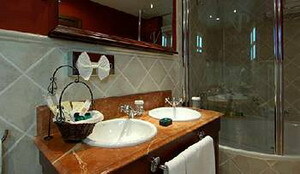 Seville airport is located on the NIV motorway to Cordoba and Madrid. The EA bus runs a regular service to and from Seville city centre and the main railway station. There are plenty of taxis outside the terminal building. 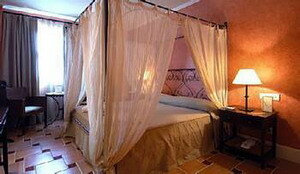 The 103 guestrooms combine warm, earthy tones with dark wood furnishings and wrought iron bedheads. 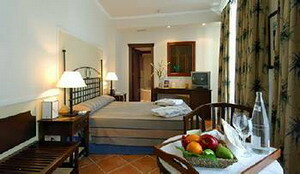 All rooms come equipped with minibars, air conditioning, safes, and televisions.